A popular blog is something that takes time to build. First and foremost, you have to have a reason for the blog other than personal struggles. Blogs based upon personal emotion from specific situations tend to become dramatic and loose followers rather quickly. The content has to be fresh, friendly and relevant to the theme of the blog at the same time. A few additional tips are mentioned below to help you create a successful blog. The topic that you choose should be something that interests others such as frugal living, repurposing household or recycled items and items that others will find useful. What you want to keep in mind is that there are hundreds of other blogs about the same thing, so you have to find a way to make yours unique. Offer something that other blog owners don’t, such as a responsive layout, minimal advertisements and a different approach on content. Web users dislike cluttered webpages. Numerous advertisements along with banner advertisements, widgets and numerous videos are just too much. Many blogs are cluttered with ads along the sides for other blogs and those blogs are smothered in ads too. Those are unattractive to readers. The content that you provide to readers is important. It should be fresh, relevant and should be created in a friendly tone. Readers like to feel as if the blog owner is speaking to them at their own kitchen table when they visit a blog. The benefit here is you can hire a content creation service to handle your writing needs. A variety of writers are generally available to handle your quality needs. You will get high-quality content that is relevant to the blog theme and trending stories in the theme. It is important that the readers be able to relate to the content. Try not to use language or themes that will attract only a small group of readers. 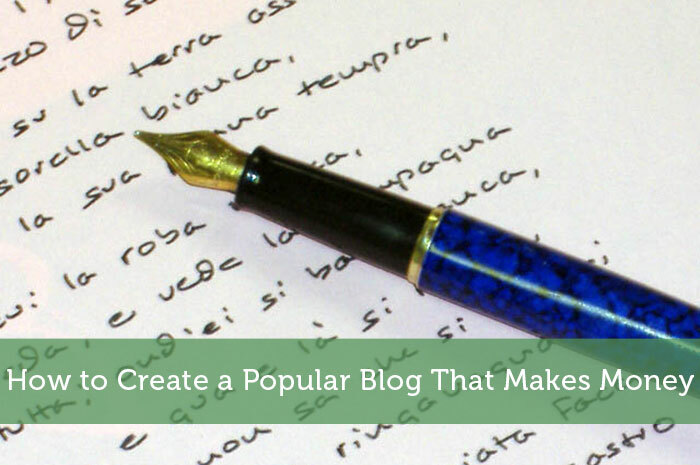 The idea of a blog is to create engaging content that people want to read. This entices existing readers to share your content and blog link on social media to help grow your readership. Sharing also helps to create a reputation for having relevant, meaningful content available that does engage the readers. Put yourself in their shoes, build what you’d want to see when going to another person’s blog but offer it in a new light. I read about myself in that first paragraph 🙂 which is ok, I’m blogging for accountability and not so much the money. If I earn $20 a year from AdSense, I figure that’s a bonus student loan payment. But you are right – even in my short time, I’ve notice a drop off in some of my early commenters. People have called my blog “raw” and “emotional”. I’m ok with that – but it’s a warning to others who think you can blog about a debt journey and make it appealing to others. I think it can be, but the blogger will have to be super careful. I like, really like, the idea of hiring a content creation service. Not only does it keep writers like myself employed, it would make it so much easier to have new and fresh content all of the time. I hire out content here and there but mostly it is my voice on the blog. You can learn about anything online so I like to think people come to my sites for what I have to say. I’m really starting to learn that. The blogs I follow most closely, I do because of the personality behind the content. Completely agree. There is more than enough information online, it’s what each blogger brings to it that keeps me coming back. Absolutely agree and this is a great point – it’s personality and a blogger’s personal style and way of communicating that keeps me coming back. On the other hand, I really enjoy what I write about, so there’s that. Quality content is absolutely essential! Once you’ve got some good content, you have to promote your blog tirelessly–and then you MIGHT make some money. Gotta stay on your grind and keep pushing! Just getting started and I find that most of the people that follow my blog are other bloggers…and I’m OK with that for that initial traffic and interaction. However, I’m looking forward to when traffic comes in from search engines because then I feel someone was looking for something and they found what they needed on my site. Content is king when it comes to a successful blog. But having a blog that is responsive and clutter free goes a long way in bringing visitors back. I agree with everything, except for the content writing services. I find that the perfect job is usually done by me. There are many talented content writers who clearly have way better skills than I do, but I do want to have my own voice, even if my style/grammar is flawed. It’s what gets my blog noticed and it helps me make it successful. Great ideas. I do all my own writing, not many free lancers would know the “life of a landlord’. Not many landlords even know it, if they use a property manager. Anyone who has not lived a landlord horror story can relate. It really irritates you when you have one, and it is generally when you are trying to help someone out. Absolutely right. Above mentioned points are nice. I was not aware of content creation service. thanks for telling about this. Content really matters. If your content is not good then no one likes to read and visit your blog.